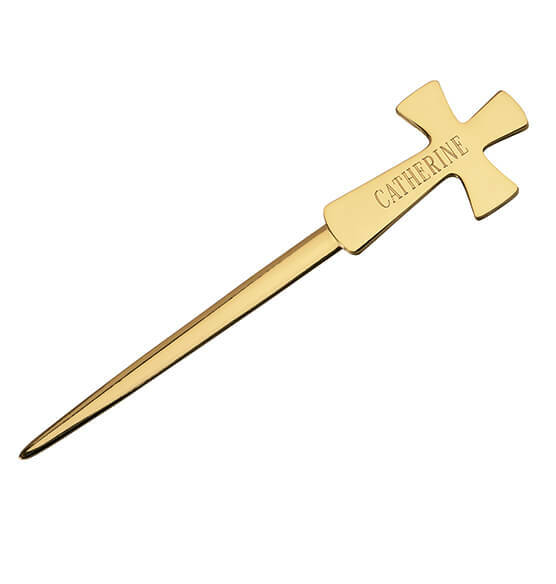 When not slicing through envelopes with ease, this personalized cross letter opener serves as an inspiring accent on your desk. High-quality mail opener can be personalized on the back, making it a perfect gift for confirmation, Easter, Christmas or any time of year. Personalize on one line, up to 18 characters/spaces. Envelope opener measures 7 1/2" L x 2" W. Goldtone.